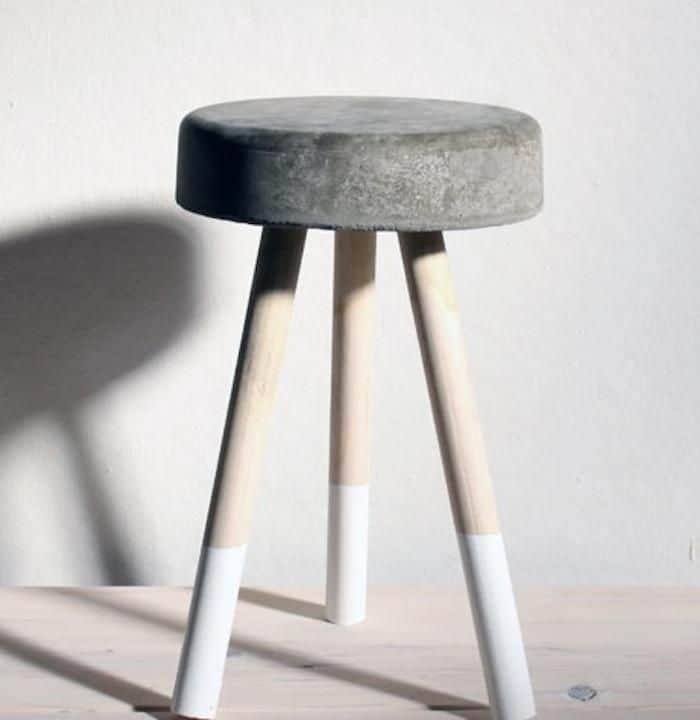 Cement and concrete might seem thing materials you’d mostly see outside in big cities, making up things like sidewalks and industrial looking buildings. 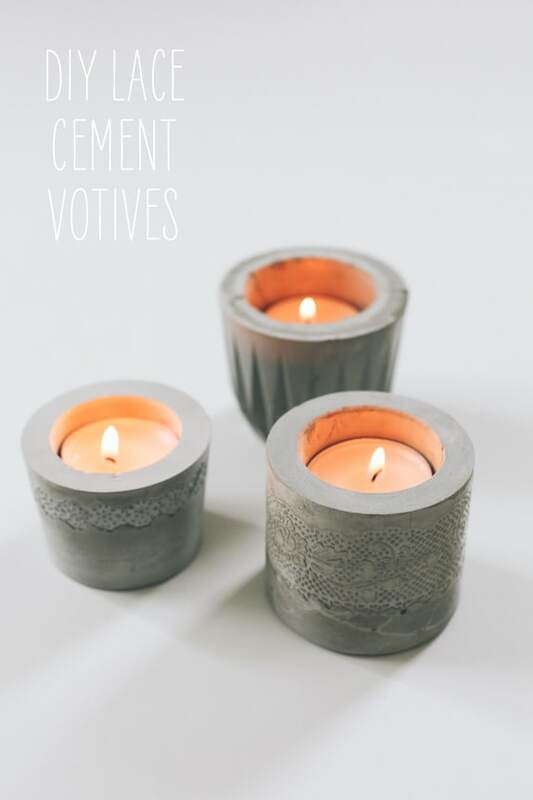 They also might not seem like something you can make or use at home but, in reality, cement makes for a fantastic crafting afternoon and some of the nicest DIY decor pieces we have in our home! 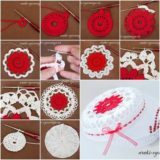 We’ve been a little obsessed since trying concrete crafts out a few months ago, so now we’re always on the lookout for new projects to try. 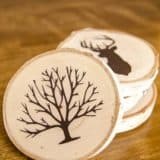 Just in case the idea of making cement based crafting projects appeals just as much to you as it did to us, if not more, here are 15 of the most creative designs that we’ve come across so far in our search for more things to try our hand at! 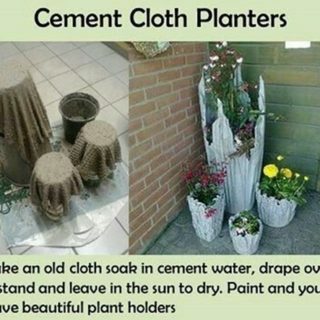 Have you always been a little intrigued by the decorative and visual contrast that happens when plants that are green and full of life are potted in concrete planters, since it’s the kind of unique material that is at once rather natural but looks so industrial and man-made? 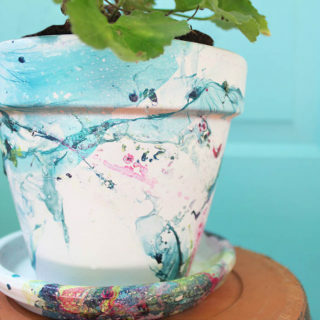 Then we have a feeling you’ll enjoy making some small concrete planters of your own, just like The Painted Hive did here. 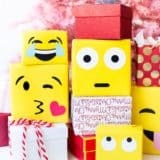 Photo frames have always been one of our favourite things to make ourselves because there are seemingly endless materials, techniques, and style you can work with, so we weren’t surprised in the least when we came across these cement frames! 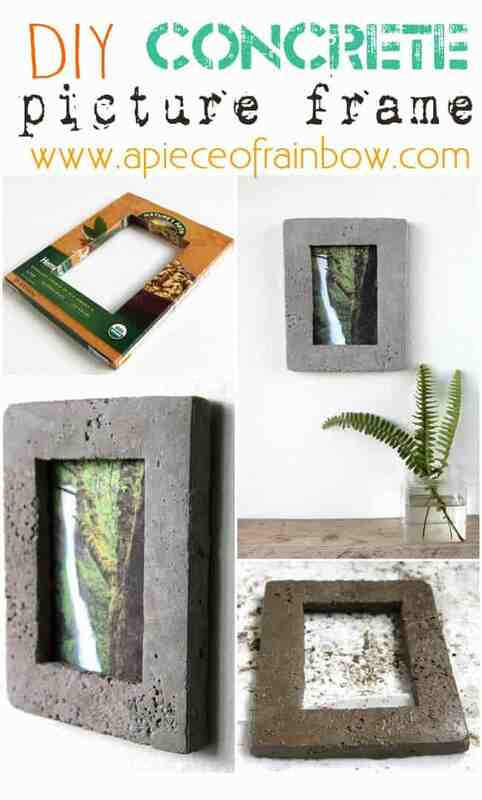 A Piece of Rainbow teaches you how to make it using crafting concrete mix and cardboard as a base for the frame’s shape. 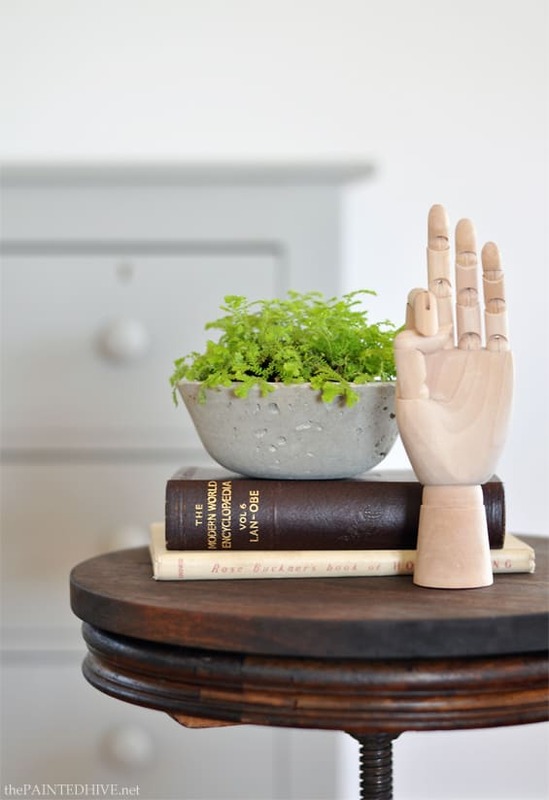 Are you actually so invested in the idea of how much you love slightly industrial inspired home decor pieces that you think you’d prefer to make something a little more permanent looking than just a planter or a frame? 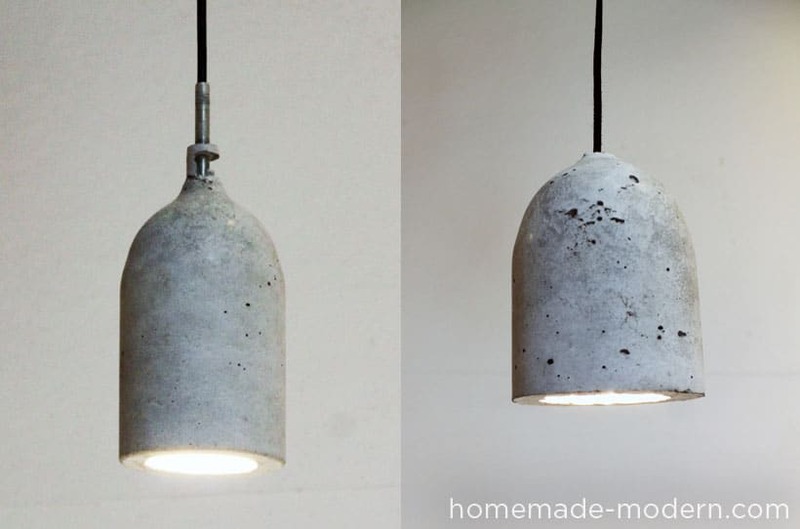 Then you just might be the perfect person to give these fantastic DIY concrete pendant lights from Homemade Modern a try! 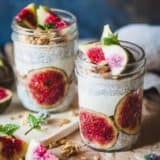 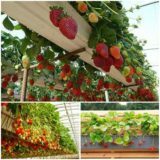 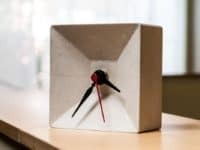 What if we really caught your attention with the idea of making a permanent or statement piece from concrete but you’re a very hands-on person indeed and you’d much rather create something a little bigger and more challenging? 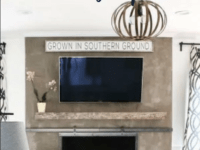 Then we have a feeling you’ll appreciate the way Designer Trapped refinished their entire fireplace surround from DIY concrete. 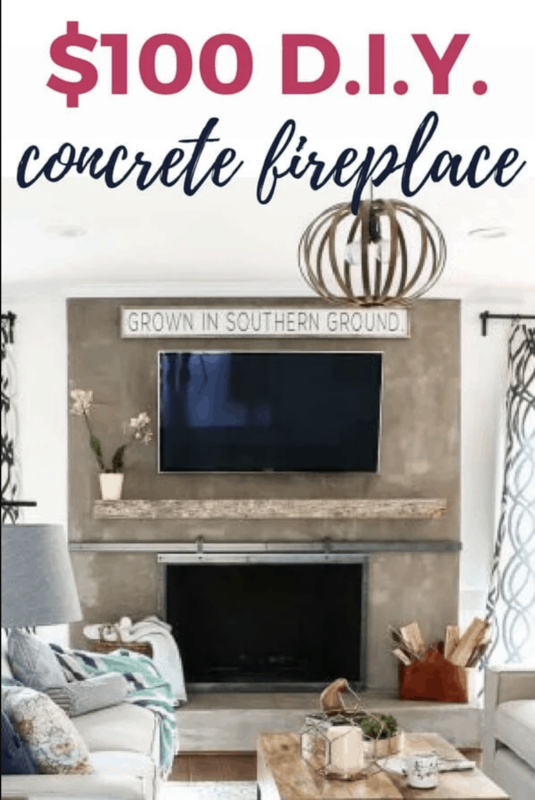 Did we really hit the nail on the head when we described the kind of big concrete project you’re looking to add to your home above but the living room and fireplace where you live don’t need an update right now? 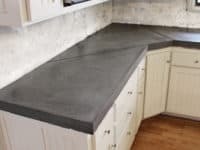 Then perhaps you’d prefer to try your hand at making something like these fantastic (and surprisingly smooth and even) DIY concrete countertops! 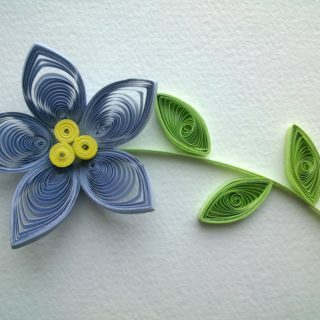 More Like Home shows you how it’s done. 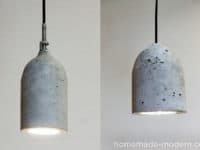 Are you actually quite new to the concept of working with concrete, or perhaps the DIY world at large, so you’d rather start with some kind of small decorative detail and work your way up to the bigger projects? 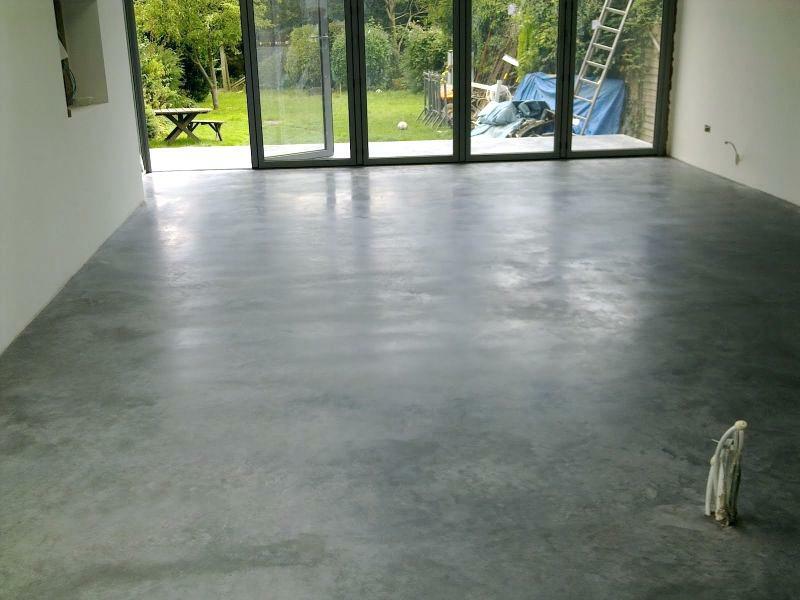 Maybe you really only want to add a little bit of concrete to your home, like a subtle detail rather than a central statement piece. 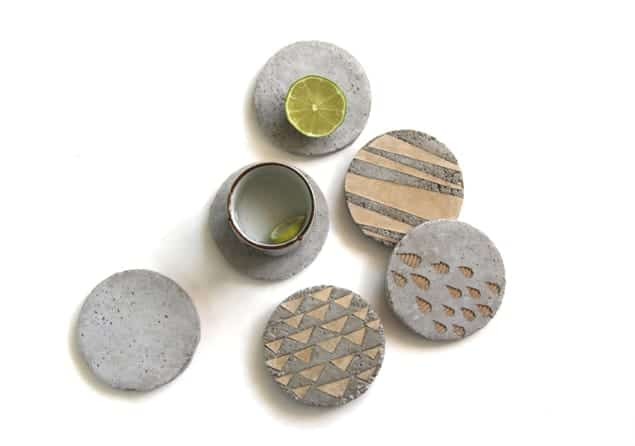 Either way, take a look at how A Piece of Rainbow made these simple cement coasters. 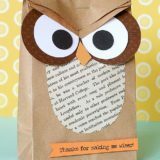 Here’s another one for the really handy and committed people, just in case the fireplace or countertops weren’t enough! 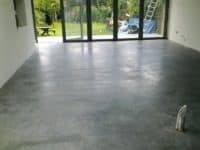 Did you know that it’s actually quite manageable to install an entire DIY concrete floor yourself, so long as you do your research beforehand? 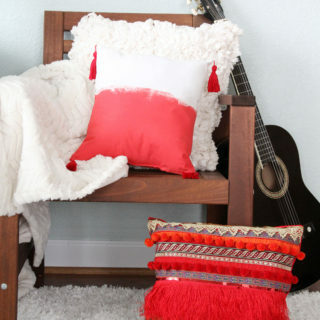 Design Mom walks you through the steps of adding the ultimate industrial chic finish to your home. 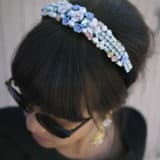 Just in case you’re still on the lookout for much smaller details or more accessible projects for the average crafter, here’s an idea that has a slightly more delicate and feminine finish, which creates beautiful contrast! 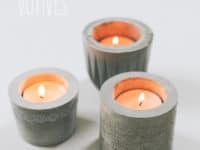 Say Yes shows you not only how they formed these little cement candle votives from scratch, but also how they imprinted them with stunning embossed lace print for texture. 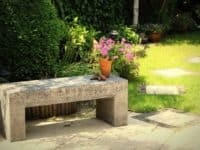 Are you feeling pretty intrigued indeed by the concept of creating your own concrete piece that actually has some kind of larger function but you’re not about to tackle your entire fireplace? 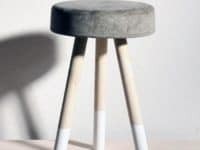 Then maybe you should start with something slightly smaller but good for everyday use, like this awesome concrete topped stool by Homemade Modern! 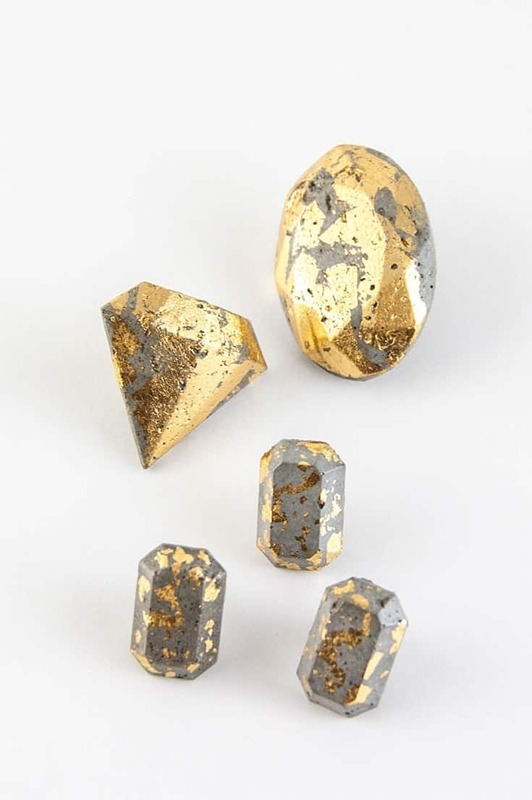 Have you always been intrigued by the concept of things that beat contrast in materiality and function all at once? 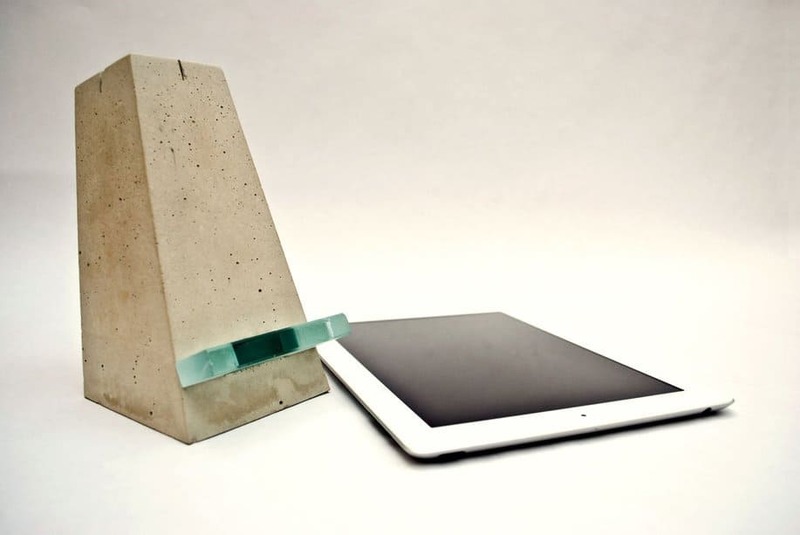 Then we think you’ll get a real kick out of the way Instructables made this awesome DIY concrete iPad stand that’s at once industrial looking, practical and electronic, and quite decorative to look at thanks to its shape and the contrast with the little glass shelf piece. 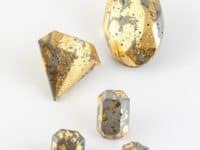 Maybe you are looking to make a slightly larger piece but you’re just not sure that you want it to be something that will sit in the middle of your living room, since that has a different aesthetic? 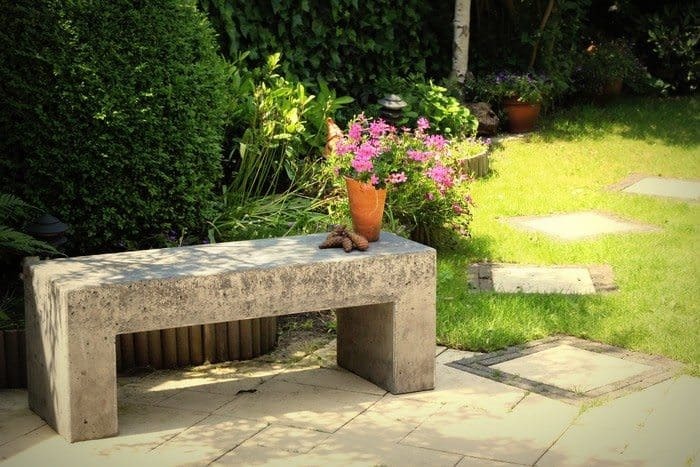 In that case, we’d definitely suggest taking a look at how Ideas 2 Live 4 made this awesomely geometric concrete garden bench for their backyard instead! 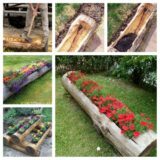 Just because you’re working with concrete and cement doesn’t mean you have to make something very big and solid. 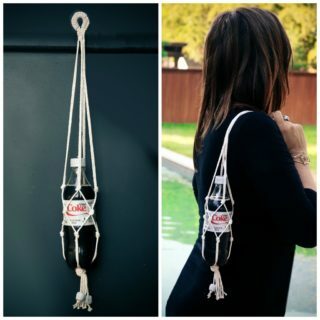 What if you like the idea of delicate pieces too, so you can actually take your love for industrial chic things with you? In that case, we’re pretty sure this lovely little polished cement block necklace chains from Married to The Earth will be right up your alley. Just in case you really loved the suggestion for making a concrete piece that’s functional and decorative, or concrete and electric, but you don’t really need another iPad charger, then we’d suggest looking at this wonderfully simple concrete clock concept instead! 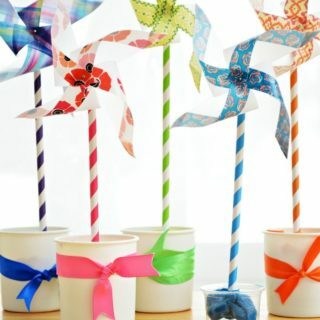 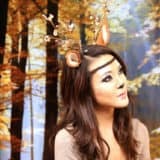 See how it’s done in more detail on Instructables. 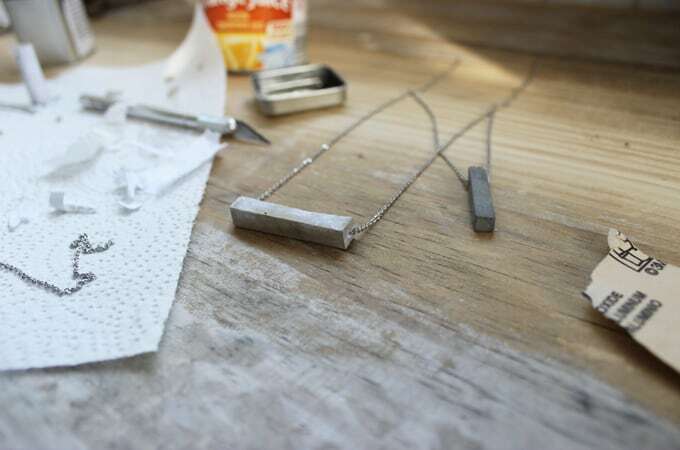 Were you actually very interested indeed in the concept of making delicate concrete jewelry but, as much as you love the industrial chic style of it, you can’t help wishing there was some kind of other colour or finish involved for contrast and personality too? 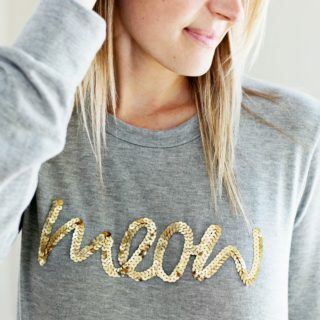 Then we have a feeling you’ll love the way DIY in PDX used gold foiling techniques to add a bit of glam to their custom formed concrete accessories (which they also show you how to make from scratch). 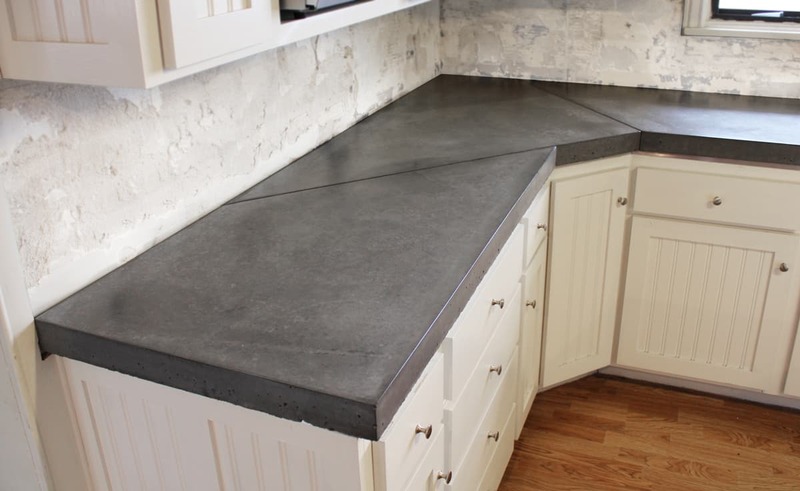 Maybe you’re the kind of person who thinks that the beauty of having a consistent aesthetic is in the details, so you’re always on the lookout for smaller concrete pieces to really tie the larger cement features in your home together cohesively with everyday tasks? 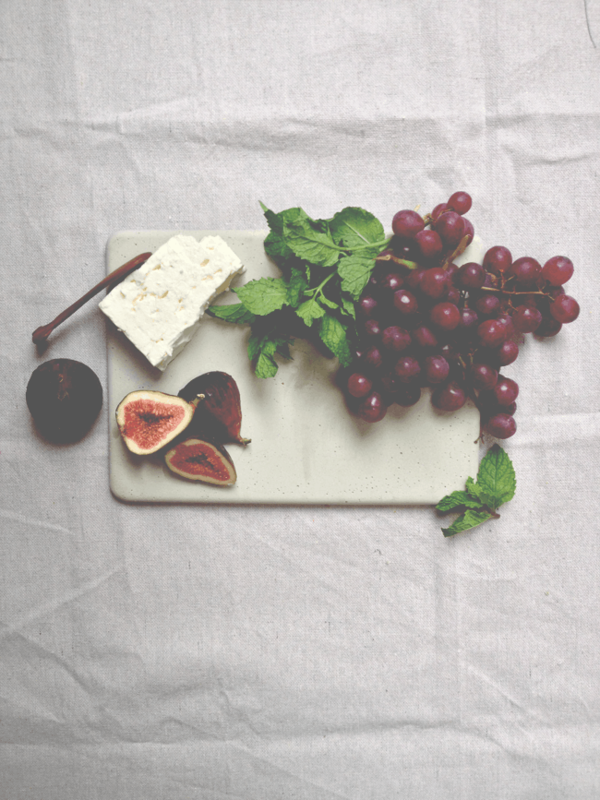 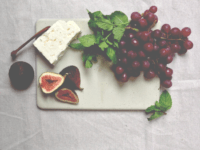 Then we’d be willing to bet that you’ll adore the way A Daily Something made this wonderfully smooth and very useful concrete cheeseboard that’s so simple to make neatly that it basically looks store bought. 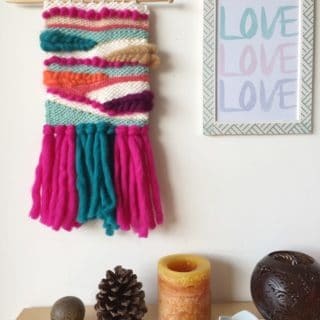 A Trendy Statement: Gorgeous Macrame Crafts Bring Nonchalant Style!